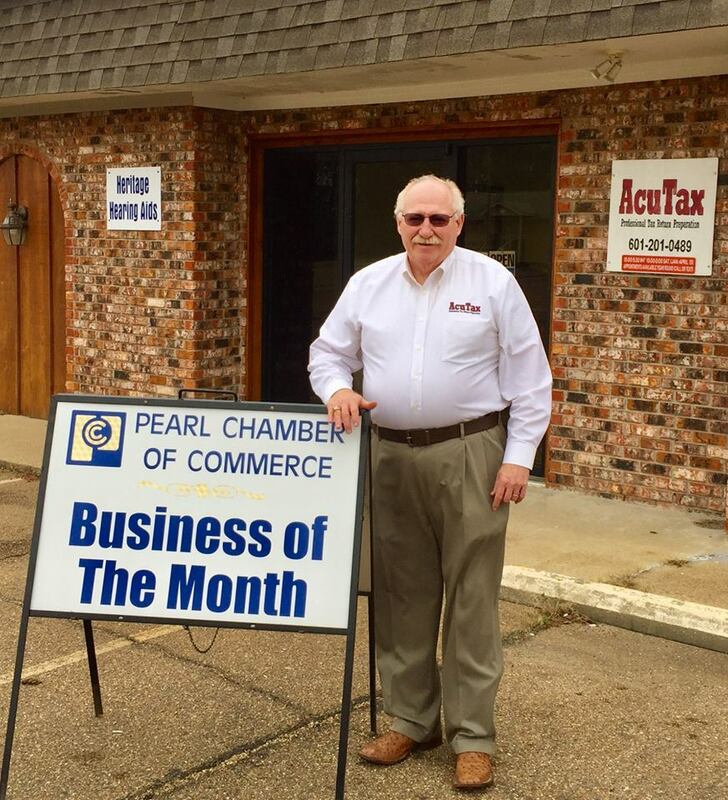 The Pearl Chamber of Commerce February Business of the Month is AcuTax Pearl MS, located at 406 N. Bierdeman Road across the street from First Baptist Church. AcuTax offers professional tax return preparation for individuals and businesses and offers a free consultation and reasonable rates. Owner Ron Morgan holds a Masters Degree from Mississippi State University with emphasis in Public Finance. Ron has 30 years of experience in dealing with tax policies in government including 25 of those years as the chief financial officer for the city of Pearl. He is a charter member and is a two time President of the Pearl Chamber of Commerce. For more info call or text 601-201-0489.